It’s time to turn up! It’s March and it’s time to celebrate the ladies. In honor of doing it for the ladies, here’s episode 146 of Call Me When It’s Over. On this week's show, “Beauty is for Everyone”, Josiesboy (@josiesboy) and Alexis (@alonafuss) have more than enough love to spread ... See More around for women’s appreciation month. •Your beauty isn’t defined by the perceptions of others. •The importance of collaboration (creatives need each other). 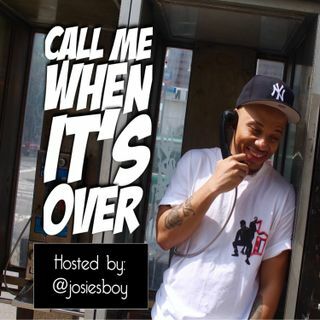 Follow the hosts of Call Me When It’s Over on Instagram.